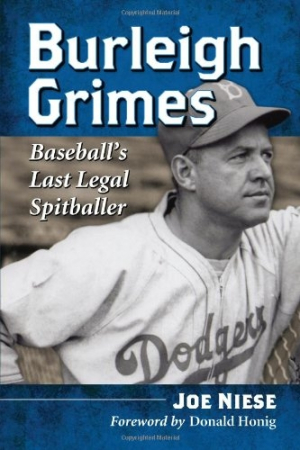 Burleigh Grimes--forever to be remembered as the ill-tempered spitballer with the perpetual five o’clock shadow. For nearly two decades, he brought his surly disposition to the pitcher’s mound. His life-or-death mentality resulted in a reputation as one of the game’s great competitors and a spot in the Baseball Hall of Fame. Along the way he suited up for eight different ball clubs and played alongside a record 36 Hall of Famers.